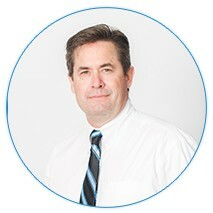 Dr. Timothy Biel is a 1988 graduate of the University of Minnesota School of Dentistry. After receiving his degree, Dr. Biel chose to serve his country in the United States Navy. He rose to the rank of Lieutenant Commander before resigning his commission after three and one-half years of service. During his active years of service, he was awarded the distinguished Navy Commendation Medal for medical care given to wounded Marines and soldiers during the First Gulf War. Dr. Biel takes great pride in constantly expanding his education through continuing education courses. He has taken expanded courses in cosmetic dentistry, implant dentistry and general dentistry. Dr. Biel has been named one of America’s Top Dentists by the Consumer Research Council of America since 2003. This organization selects dentists to this list by the number of hours of continuing education and professional organizations. Dr. Biel is an active member of the American Dental Association, the Colorado Dental Association, and the Metropolitan Denver Dental Society. Dr. Biel has been practicing with Associates in Family Dentistry since 1993. In his spare time, he enjoys bike riding, skiing, and reading. Dr. Dominic Toriggino received his D.D.S. degree from the University of Texas Health Science Center at San Antonio in 1988. He then served for four years in the U.S. Navy. Dr. Toriggino has completed an implant mini-residency at Nobel Biocare and taken classes in orthodontics given by the North American Orthodontic Laboratory. 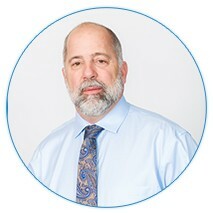 He is a member of the Academy of General Dentistry, the American Dental Association, the Colorado Dental Association, and the Metro Denver Dental Society. Dr. Toriggino enjoys running, biking and cooking in his spare time. A Graduate of Creighton University Dental School in 2004 Dr. Kruglet spent two years in Gallup, New Mexico working for the Indian Health Service providing care to Native Americans working primarily with the Navajo Indians. While there he gained some insight into the Indian way of life and felt he provided a great service to a population in great need. After two years with the Indian Health Service, Dr. Kruglet decided to come home. Growing up in Fort Morgan Dr. Kruglet always knew he wanted to come back to Colorado. 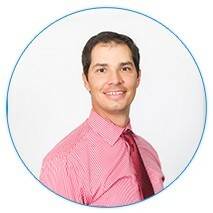 Dr. Kruglet has been with Associates in Family Dentistry since 2007. Being raised in a small town Dr. Kruglet has an appreciation for the “family dentist”. Dr. Kruglet takes great pride and providing care for the entire family. He strives to keep current with the latest techniques and standards. Dr. Kruglet takes countless hours of Dental continuing education so he may provide his patients with the best care available. Dr. Kruglet is a member of the American Dental Association, Colorado Dental Association, and the Metropolitan Denver Dental Society. When Dr. Kruglet is not working he enjoys spending most of his time with his wife Heidi and two daughters Grace and Lilliana. Dr. Kruglet enjoys cooking, reading, scuba diving and playing softball.